People have been trying to figure out the most effective weight loss diet for as long as diets have existed. When researched in clinical trials, diet questions are often addressed through head-to-head comparisons, like an endless nutritional tournament dedicated to finding the ultimate diet. Unfortunately, it’s only feasible to compare two or three diets at a time. Since new diets appear often, it’s often hard to draw conclusions about a single diet in comparison to the entire landscape of options. To address this problem, the authors collected the results of many studies and analyzed them together, in order to simultaneously compare the effectiveness of many diet styles. This study was a meta-analysis of name-brand diet interventions on weight loss. Initially, the researchers cast a broad net to identify potential studies to include in the analysis. They tried to identify any study of overweight or obese adults who were treated with a specifically named diet or a diet that was equivalent to a named diet, even if that name was not explicitly mentioned. For example, a study diet could be not explicitly called “Atkins,” but would be grouped under “Atkins-like diets” if they were funded by Atkins or fit the general guidelines of the Atkins diet. These criteria were used to search the largest databases of published research, like PubMed. The authors confirmed assigned each study as either being at low or high risk of bias using the Cochrane risk of bias tool. This tool evaluates the quality of a study’s methodology and reporting, such as sufficient reporting of all main outcomes and adequate description of blinding procedure. Studies that included exercise or behavioral interventions were included, and those factors were later assessed to determine if they contributed to overall weight lost. Similarly, the researchers allowed studies that included some meal replacements, but the intervention could not involve any drugs or drug-like supplements, like ephedra or similar “fat burners.” The studies also had to have lasted at least six months. Many of the studies lasted longer than that. The longest study the researchers analyzed lasted 12 months. There were 59 articles identified in total, which were based on 48 randomized controlled trials enrolling a total of 7286 individuals. These reports included 11 diets, which were roughly categorized as moderate macronutrient, low-carb, or low-fat. Control groups included participants who followed no diet and who received “usual care,” which included adaptive or variable weight management strategies, such as LEARN (Lifestyle, Exercise, Attitudes, Relationships, Nutrition: a behavior-based approach to weight loss), which can be modified based on an individual’s needs. This study compared various diets intended for weight loss in an attempt to find the most effective one. 1Any diet was superior to no diet at all. 2Six months in, low-carb diets (with 8.73 kg lost on average) led to the most weight loss on average, but weight loss was not significantly greater than low-fat diets (with 7.99 kg lost). 3After 12 months, low-carb (7.27 kg lost) and low-fat (7.25 kg lost) diets were superior to all other diets, and both had nearly equal effects on weight loss (see Graph 1). 4When comparing individual diets, the Atkins (10.14 kg lost) and Ornish (9.03 kg lost) diets were some of the most effective, both six and 12 months in. 5In the short term, behavioral support resulted in greater additional weight loss (3.23 kg lost), and in the long term, the effect of behavioral support waned and the effect of exercise (with 2.13 kg lost) increased. This effect occurred regardless of what diet the participant used. It is important to note that in a study like this, “superior” is a relative term. Because there are so many factors involved, and the difference in weight lost was generally small (one to two kg) when comparing most individual diets against one another, it is hard to make conclusive statements. The authors recognize this in the discussion of the results, and they are careful to emphasize that despite statistical significance, most of the nuanced differences they noticed are likely irrelevant when applied to a single individual. The researchers emphasize that their analyses are based on the intended treatment of the selected studies, rather than actual adherence to a given diet. This applies when interpreting any dietary trial -- the results are do not exactly the reflect the diet as designed, rather they reflect the diets as followed by trial participants. The researchers also performed a sensitivity analysis on the data. Sensitivity analysis is a way of evaluating the strength of the conclusions of a meta-analysis by considering the quality of the studies it’s based on. They performed the sensitivity analysis as follows. First, the authors determined that 60% of the studies they analyzed were high quality with a low risk of bias. To make sure that their findings still held true even when only the highest quality studies were included, this group of studies was tested separately. The results were similar to the results generated during the entire meta-analysis. They also tested for studies based on their loss to follow-up, percentage of female participants, and baseline participant bodyweight. None of these factors substantially affected results. For overweight and obese adults, any diet is better than no diet at all. 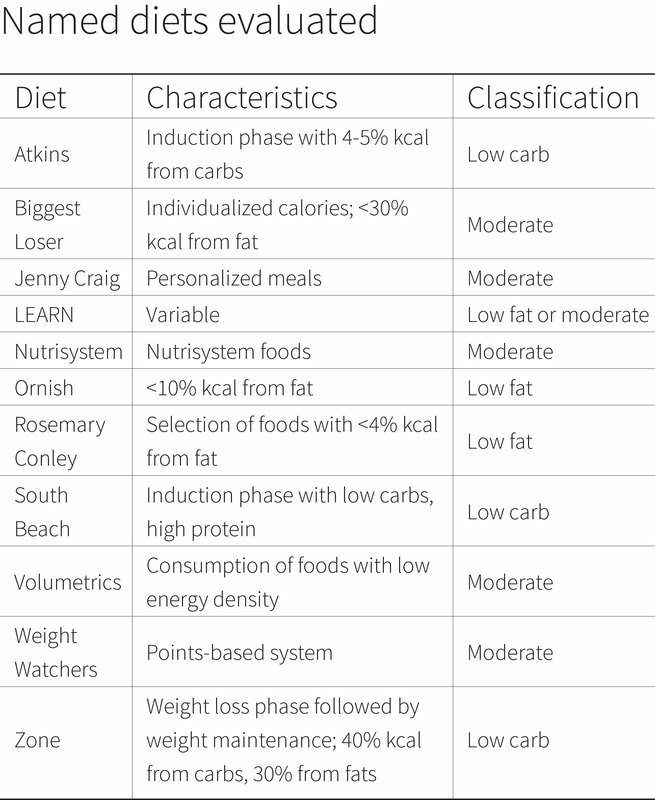 Low-carb and low-fat diets are likely most effective for long term weight loss in this population, when looking at named diets. There are two major caveats though. One is that the diets within each group often varied quite a bit. For example, the Ornish diet is not just a macronutrient-guideline diet, but a variety of different approaches to health such as emphasizing plant foods and reducing stress. A second point is very important to interpreting this study. This meta-analysis didn’t include all diets, it only included named diets or studies that approximated named diets. So if a previous study had tested a low-carb diet against a Mediterranean diet and a low-fat diet without a brand name, only the low-carb arm would be included in this meta-analysis. Thus, this meta-analysis should not be used to bolster arguments for the superiority of low-carb and low-fat diets. Rather, it is specifically aimed at named diets, or diets that the authors deem to be similar enough to named diets. The authors also found that exercise and behavioral modification were important aspects of weight loss. Behavioral modification and counseling was associated with more weight lost six months in, while exercise showed a much stronger effect 12 months into the study. The authors caution that those findings may be influenced by their definition of “behavioral modification,” which is usually some sort of counseling at the outset of a study, and hence a greater effect at 6 months than at 12 months. But the finding is still in line with the general wisdom that the effects of most types of counseling or education wane over time. It should also be noted that most large-scale network analyses like this have relatively large “credible intervals” (a Bayesian term that indicates a high degree of uncertainty). This study is no different. Although many of the findings were statistically significant, most of the 95% credible intervals were relatively large. This makes it difficult to say how important the small differences (two to three kg) are between the various diets. The meta-analysis suggests low-carb and low-fat diets are the most effective diets for overweight and obese adults. Ultimately, however, the most effective diet is the one that you stick to the longest. Sometimes results are reported according to what treatment was initially assigned, which is called “intention-to-treat analysis.” Sometimes results are reported according to the treatment that was actually used at the final measurement (per-protocol analysis). Ideally, both results are provided, so that the reader can compare results using those who followed through with treatment to those that didn’t for whatever reason. This issue equates to efficacy versus effectiveness, which is a major research issue. Efficacy refers to how the effect of the treatment under ideal conditions, such as with 100% adherence. Effectiveness is the real-world effect, which incorporates factors like how difficult the treatment is to follow. How results are reported can substantially change how the study is interpreted. If a trial tests a diet entirely devoid of sweets on those with massive sweet tooths, compared to a moderate-sweet diet, then what results would you expect? Let’s say half the “no-sweets” participants drop out because the intervention is just too difficult, and some switch to a moderate-sweet diet. If the results are reported only per-protocol, according to the treatment assigned, the no-sweets diet may be deemed successful. But intention-to-treat analysis would likely show a much smaller effect. This study provides very strong confirmation of what is anecdotally known among most professionals in the field: whatever diet a person can stick with is the best diet for them, if their goal is weight loss. The difference is that this study was a rigorously conducted analysis of clinical trials. It provides scientific evidence instead of anecdotes. 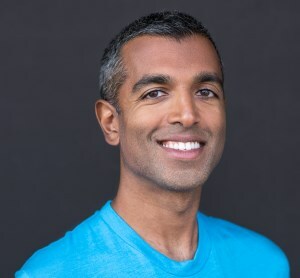 Although these findings seem to oppose the recent media buzz surrounding a long term low-carb trial, the actual results of this analysis and that trial are in relative agreement: weight loss is similar between groups, behavioral interventions (counseling) may help, and compliance is relatively poor for dietary interventions. At its core, this research exemplifies the difference between “exciting” and “excellent” science. The authors of this study were careful to use rigorous statistical methods in an effort to answer an age-old question. Their findings didn’t smash any myths and likely won’t change many practices, but it’s still important to have objective data to support commonly held beliefs, and this study provides those data. There are many effective diets. Sustainability is more important than macro preference. The best diet is the one that is supported by scientific evidence, healthy, and sustainable for a given individual. This study provides some evidence that low-carb and low-fat diets may be most effective in the long term, but not by much, and it only included named or branded diets. Diets that focus on macronutrients have different pros and cons than those involving more factors. Low-carb and low-fat diets may act as only a temporary solution for some, unless additional emphasis is placed on food quality. Many different aspects of diet, lifestyle, and the food environment have been shown to impact energy intake and fat mass. That may have impacted this study, since the low-carb diets were mostly single-factor interventions yet they were compared with multi-factor low-fat diets like the Ornish diet. In terms of specific diets, this study suggests that a wide variety of diets lead to weight loss. It’s important to keep in mind that many diets have overlapping features, and it is difficult to know which of those features are most important for a given person. Two diets can have the exact same effects in one person and radically different effects in another. If every diet works, why diet at all? Why not just eat healthy foods? This is a valid question without an easy answer. Diets provide a framework in which to think about the foods one eats. Many people grow up with complex relationships to food, such as eating certain foods for comfort or avoiding certain foods for religious reasons. Many authors and diet creators claim to have a diet guideline that can help everyone. While that may be true to an extent, refer to the above section on efficacy versus effectiveness -- the best diet is the one that can be sustained long enough to provide health benefits. For some people, avoiding diets altogether and choosing foods one-by-one based on the preponderance of research is simply not a realistic strategy. There are a lot of diets available to help overweight and obese individuals lose weight. The best diet for weight loss is the one a person can stick to the longest. After a year of dieting, low-carb or low-fat diets appeared superior to other types, but that only applies to diets that are named or branded. This meta-analysis is also a perfect example of why headlines can be so misleading when covering diet studies. Trials comparing specific named diets against control diets may appear to show substantial benefit, but effects are quite similar when named diets are compared against each other in a statistically rigorous and systematic manner.